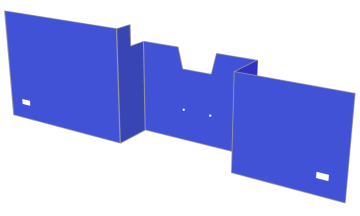 This is a Demonstration website for Smart-Builder glass web configurators. Click here for more information. With over 1,000,000 showers configured worldwide, Smart-Shower is the world's leading configurator software for designing frameless showers, shower doors and shower screens. Smart-Shower is much more than a template system, it knows and understands showers like an expert installer. Even complex bespoke shower configurations can be built in mere minutes from just basic dimensions and hardware selections, saving time and eliminating costly mistakes. Smart-Shopfront makes designing even the most complex bespoke shopfronts intuitive. Whatever fixtures and fittings the configuration or customer demands, our configurator handles all the details: latches, locking options, adjustable pivot points, top or bottom closers, deductions, mitres and much more. Our step-by-step approach enables you to create experts in your team, ensuring a consistent, accurate result every time. Smart-Splashback is the newest addition to the world-leading Smart-Builder range of software. Smart-Splashback brings Smart-Builder's glass design expertise to kitchen and bathroom splashbacks - popular features in modern homes. Frameless glass balustrades, barriers and pool fences are a popular, modern feature in homes and commercial properties. 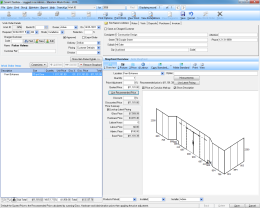 The Smart-Balustrade configurator has been developed to meet this growing need. 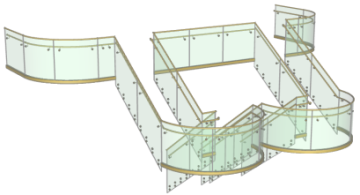 Smart-Balustrade offers a full-featured, swift balustrade design engine, incorporating sophisticated elements like curved and facetted sections, and generating stunning 3D images. Smart-Railing is ideal for aluminium or stainless steel railings with glass, picket or cable infills. It combines a straightforward and efficient design interface with complete control over the smallest details of your configuration. A key component of the world-leading Smart-Builder range of software, Smart-Toolbox is focused on business and sales management and is built from the ground up for the glass industry. It can be used on its own or in conjunction with the shower, shopfront, balustrade, railing and splashback design modules.